With so many choices available nowadays, it is sometimes hard to know exactly what new accents to add to your home. We have scoured the internet for the latest in home décor trends and accessories producing a list to help you make your home truly unique. Adding a pendant light to a room in your home can really help transform the room into one of elegance. We all like things that stand out and pendant lights will ensure your home does exactly that. Introduce a pendant light to your kitchen and make it the focal point of the room’s style. There are of course, many designs and styles of wall clock that could be introduced to your home. However, none will add the Parisian charm and style to your home like the Paris Wall Clock. 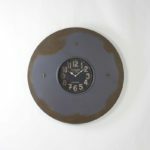 What is great about this Wall Clock is its handcrafted construction, which ensures that no two clocks are the same. It is a versatile accent which can be added to your kitchen, living space or bedroom. If you have a book collection at home, then consider sprucing up your shelf space with some portable bookends. 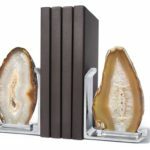 Striking variations of colour ensure that these Agate Bookends, laced with natural crystals, will add some modernity and nature to your bookshelf and room. Can a home be a home without coaster? But what coasters work well with your home décor… Lumino Coatsers could be the answer. Exquisitely designed, etched in 24K gold these unique and distinctive coasters will add some nature and class to your home. 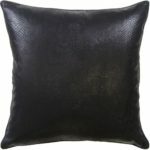 The Serpent Pillow, which is available in several colours, is a fabulous accent to add into your home. The smooth texture and snake embossed pattern will provide a modern and chic addition to your home décor. 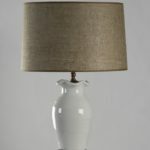 Described as elegant, fashionable and stylish the Pottery Lamp’s features and modern tan shade offers a whimsical touch to any interior setting. 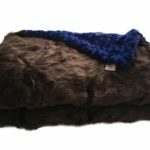 Faux Fur Blankets are all the rage at the moment and if you are looking for a bit of texture in your home, a Faux Fur could offer that perfect finishing touch. 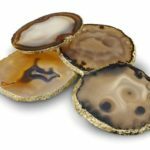 They offer a polished but laid back look and feel to your home. Most kitchens nowadays include trays, however by adding a gold leaf wooden tray to your kitchen you can ensure a sophisticated and dramatic composition is achieved. 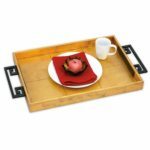 A wooden tray is perfect for showing off objects within a display or serving drinks and food. Your wooden tray will compliment your Arte Italica Dinnerware. 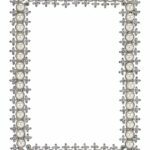 Pearl Photo frames look vintage and elegant at the same time. 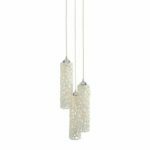 Encrusted with Swarovski Crystals and set in delicate Faux Pearls frame, this accent will brighten up any room in your house. What looks more sophisticated in the corner of a room, than a chess set? 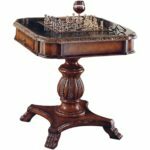 With a brown marble finish and set in fine oak, this chess piece table is an elegant accent for your home or office. And there you have my top 10 home accents. There are lot of fantastic accents that missed the top 10. Fortunately there are lots of options to source Home Décor Accents including Vietri Dinnerware online. Creating a comical, informative and interesting blog of experiences across the UK and internationally for all users to enjoy for free. From great places to eat, travel experiences, latest trends and news, family activities, awesome hotels, beauty and healthcare, finances, movies and competitions; we have great content for our users to read and explore.